Mark Samson, President & Senior Financial Advisor, has been recognized as a 2018 and 2019 Forbes Top State-by-State Advisor in Pennsylvania. Mark, along with Steve Schwartz, Managing Partner & Senior Financial Advisor, lead a team of financial service professionals with nearly 120 years of collective industry experience. They work closely with wealthy families to help them navigate the multifaceted issues that come with their success. The team guides their clients with strategies to help them create, grow and preserve their family's wealth. This provides a level of comfort which allows the families to focus on the people and activities they care about most in their lives. Wealth management is a comprehensive discipline that, based on each family's unique needs, combines wealth planning, investment planning, retirement planning, asset protection planning and executive planning. 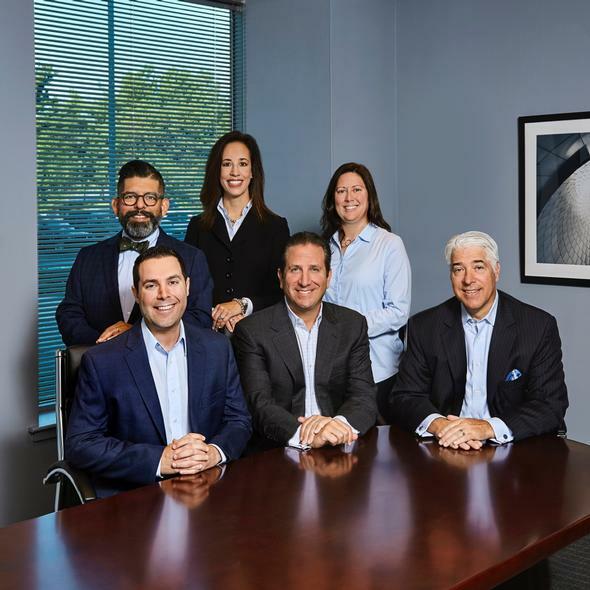 The team prides themselves on providing clients with a customized, holistic approach, personalized service and timely, unbiased advice to help them address the increasingly complex world of today's financial landscape. Samson Wealth Management Group is passionate about helping their clients and they work diligently on their behalf. Ranking algorithm based on industry experience, interviews, compliance records, assets under management, revenue and other criteria by SHOOK Research, LLC, which does not receive compensation from the advisors or their firms in exchange for placement on a ranking. Investment performance is not a criterion.